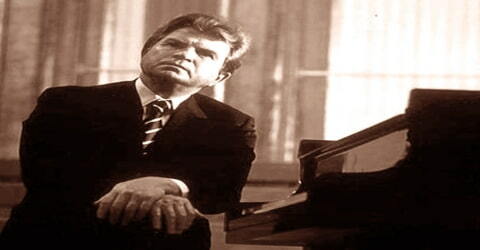 Emil Gilels – Soviet pianist. 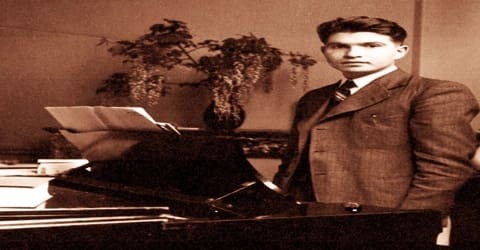 A Soviet concert pianist admired for his superb technique, tonal control, and disciplined approach, Emil Gilels was born to a Jewish family on 19 October 1916 (6 October, Old Style) in Odessa, Ukraine (then part of Russian Empire) the son of Esfir and Grigory Gilels. He was a master of a wide repertory from the time of Bach to his own era, and one of the first pianists to adopt a modern, more objective style of playing and interpreting music. 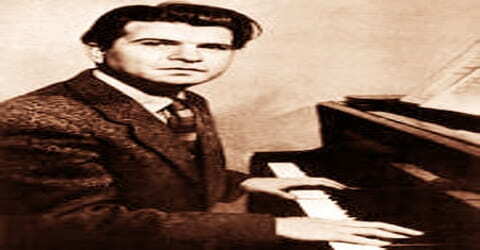 Emil Gilels, in full Emil Grigoryevich Gilels (Ukrainian: Емі́ль Григо́рович Гі́лельс, Russian: Эми́ль Григо́рьевич Ги́лельс, Emiľ Grigorievič Gileľs), was born to a Jewish family on 19 October 1916 (6 October, Old Style) in Odessa, Ukraine (then part of Russian Empire) the son of Esfir and Grigory Gilels. His father worked as a clerk in a sugar refinery. His sister Elizaveta, born 3 years later, subsequently became a renowned violinist. His family was musical; his sister Elizaveta had a national reputation as a solo and chamber violinist, and married fellow violinist Leonid Kogan. Gilels entered the Odessa Institute of Music and Drama in 1922 to study with Yakov Tkatch and Berthe Ringold. Following a successful debut as a child prodigy in 1929, he transferred to study with Reingbald at Odessa Conservatory. Under the tutelage of Reingbald, Gilels broadened his range of cultural interests, with a particular aptitude for history and literature. In 1932, Arthur Rubinstein visited the Odessa Conservatory and met Gilels, and the two of them remained friends through the remainder of Rubinstein’s life. Like Tkach, Reingbald carefully guided Gilels in terms of allowing him to give live concerts and protected her student from excessive concert performances. He competed in the All-Ukrainian Competition, despite being below the age limit to participate, but won a scholarship from the jury. In 1933 Gilels won the first All-Union Musicians’ Contests, initiating its rapid rise to become the leading musical performance competition in the U.S.S.R. Even with this success, he carefully continued his education, remaining at Odessa Conservatory until he graduated in 1935. After that, he continued his studies as a graduate student at the Moscow Conservatory with Heinrich Neuhaus. In 1936, Gilels participated in his first international competition, the International Vienna Music Academy Competition. Gilels took the second place award, while his friend and fellow student Yakov Flier was the first prize winner. Two years later, in 1938, both Gilels and Flier participated in the Ysaÿe International Festival in Brussels. Gilels was awarded the first prize, and Flier took third prize. Gilels completed his studies in Moscow in 1938. Emil Gilels was married twice. He was first married to pianist Rosa Tamarkina in 1940. His second wife was Fariset (Lala) Hutsistova, a graduate of Moscow Conservatoire, whom he married in 1947. They had a daughter, Elena, a pianist who graduated from Flier’s class at the Moscow Conservatoire, and who performed and recorded with her father. In 1938 Gilels won first prize at the Ysaÿe International Festival in Brussels and was appointed professor at the Moscow Conservatory. In the same year, he was engaged as a teacher at Moscow Conservatory. He planned to launch his international career in 1939, beginning with a visit to the New York World’s Fair, but the outbreak of World War II in Europe prevented his travel. During the war, he was evacuated to the East in 1941 when the German armies reached the outskirts of Moscow. In 1944, Gilels premiered Prokofiev’s 8th Piano Sonata. During World War II, Gilels entertained Soviet troops with morale-boosting open-air recitals on the frontline, of which film archive footage exists. In 1945, he formed a chamber music trio with the violinist Leonid Kogan (his brother-in-law) and the cellist Mstislav Rostropovich. Gilels was awarded the Stalin Prize in 1946. After the war, he toured the Soviet Bloc countries of Eastern Europe as a soloist. He also gave two-piano recitals with Yakov Flier, as well as concerts with his violinist sister, Elizaveta. Gilels finally made his first appearance outside the Soviet Union in 1947, when he visited several European cities, but frigid diplomatic relations between Washington and Moscow prevented his appearance in the United States until 1955, when he became the first prominent Soviet performing artist to play a concert there on October 3, with the Tchaikovsky First Piano Concerto in Philadelphia, Eugene Ormandy conducting. The resulting storm of acclaim led to his return to the U.S. 13 more times. In 1952, Gilels became a professor at the Moscow Conservatory, where his students included Valery Afanassiev, Irina Zaritskaya, Marina Goglidze-Mdivani, Irina Smorodinova (a Laureate of the International Marguerite Long-Jacques Thibaud piano competition in Paris), Igor Zhukov, Vladimir Blok, and Felix Gottlieb. He was chair of the jury of the International Tchaikovsky Competition at the inaugural competition in 1958, which awarded first prize to Van Cliburn. He presided over the competition for many years. Emil Gilels debuted in England in 1959 to similar success. Gilels made his Salzburg Festival debut in 1969 with a piano recital of Weber, Prokofiev, and Beethoven at the Mozarteum, followed by a performance of Beethoven’s Third Piano Concerto with George Szell and the Vienna Philharmonic Orchestra. He became known for his refined yet powerful performances of great concentration and attention to the inner logic of the music. He was noted for his performances of Bach, Beethoven, Schubert, Schumann, Chopin, Liszt, Tchaikovsky, Brahms, and Shostakovich. 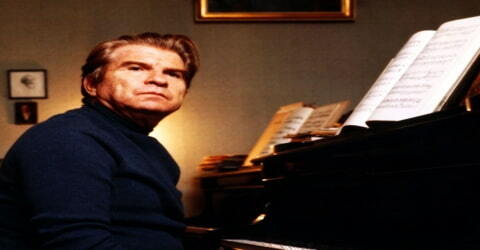 Emil Gilels is universally admired for his superb technical control and burnished tone. Gilels had an extensive repertoire, from Baroque to late Romantic and 20th-century classical composers. His interpretations of the central German-Austrian classics formed the core of his repertoire, in particular, Beethoven, Brahms, and Schumann; but he was equally illuminative with Scarlatti and 20th-century composers such as Debussy, Rachmaninoff, and Prokofiev. His recordings of Liszt’s Hungarian Rhapsody No. 9 and Sonata in B minor have acquired classic status in some circles. 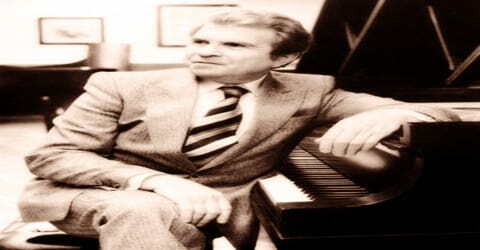 Emil Gilels’s recording of the “Hammerklavier” Sonata received a Gramophone Award in 1984. In 1981, Emil Gilels suffered a heart attack after a recital at the Concertgebouw in Amsterdam and suffered declining health thereafter. Gilels died unexpectedly during a medical checkup in Moscow on 14 October 1985, only a few days before his 69th birthday. Gilels was in the midst of completing a recording cycle of Beethoven’s piano sonatas for the German record company Deutsche Grammophon when he died unexpectedly in a hospital in Moscow. Gilels made numerous recordings, both for the Soviet state recording agencies (many of which are reappearing in improved sound on compact disc) and on Western labels. He was a two-time recipient the Order of Lenin. He recorded with his daughter Elena Gilels, including Mozart’s double piano concerto with Karl Böhm and the Vienna Philharmonic and Schubert’s Fantasie in F minor for piano duet. He also made some outstanding chamber recordings with the violinist Leonid Kogan and the cellist Mstislav Rostropovich. Sviatoslav Richter, who knew Emil Gilels well and was a fellow-student in the class of Heinrich Neuhaus at the Moscow Conservatory, believed that Gilels was killed accidentally when a drug was wrongly injected during a routine checkup, at the Kremlin hospital. However, Danish composer and writer Karl Aage Rasmussen, in his biography of Richter, denies this possibility and contends that it was just a false rumor.